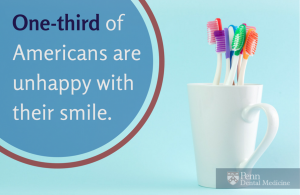 According to a study done by the American Association of Orthodontics, one-third Americans are unhappy with their smile. And of those who are unhappy with their teeth, 36% believe they’d have a better social life if their smile looked better. Bad teeth were also the biggest dating turn off among men and women. But if you think that crooked teeth are merely a cosmetic concern, then you need to think again. Gum Disease: Gum disease is a common side effect of having crooked teeth. Gum disease develops as a result of bacteria solidifying into plaque. The problem gets worse when your gums don’t fit tightly around your teeth. Crooked teeth can create unwanted gaps in which bacteria accumulate. Bad Breath: You’ll find that the same problem that leads to gum disease is also behind bad breath. The difficulty caused by crooked teeth is the unevenness in your palate which allows bacteria to pile up in certain areas. Especially because crooked teeth are more difficult to clean thoroughly, bacteria are able to monopolize the area in your mouth with greater ease than they could in a mouth with straight teeth. For this reason, it’s common for people with crooked teeth to have bad breath, too. Wear on Tooth Enamel: Teeth crowding will often cause one or more teeth to protrude unnaturally, which has the unfortunate effect of rubbing against your other teeth. Over time, this will cause undue wear on the tooth enamel. This can even happen at night when you’re sleeping, when your lower teeth protrude into your upper teeth (or vice versa). Negative Impact on Overall Health: Many people are unaware of the fact that dental problems not only affect your overall health, but also reflect it. The American Dental Association has shown that oral infections are implicated in other health problems affecting the rest of your body, including diabetes, stroke, heart disease, and pneumonia. Take care of your teeth, and your body will thank you! Crooked teeth, however, is a condition you can’t take care of by yourself. Whether they’re the product of genetics or injury, they should only be treated by a trusted orthodontist. How Can I Fix Crooked Teeth? Orthodontics sounds like a bad word to some people, but it certainly doesn’t have to be for you! Penn Dental Medicine offers treatment to fix crooked teeth for less than your average dentist would. We offer a comfortable atmosphere and caring professionals who want to ensure you get what’s right for you. Avoid these health problems and get ahead of the game. Call Penn Dental Medicine at 215-898-8965 to get started. You can also be called by one of our representatives by filling out this short form.